Nomads by nature makes them never trustworthy off leash. Siberians can easily adjust to a new environment. In fact, to them every stranger is just a friend they haven't met yet. This nomadic tendency, coupled with their innate curiosity, makes it extremely important to always have them confined or on a leash. With no fear of cars and no homing instinct, this nomadic tendency could easily leave them prey to hunger, injury, disease, or worse. Remember that these beautiful furr-kids are often expert Houdinis, so this wander-lust coupled with their ability to escape can be a dangerous thing. Security is extremely important for the Husky owner to review on a continual basis. 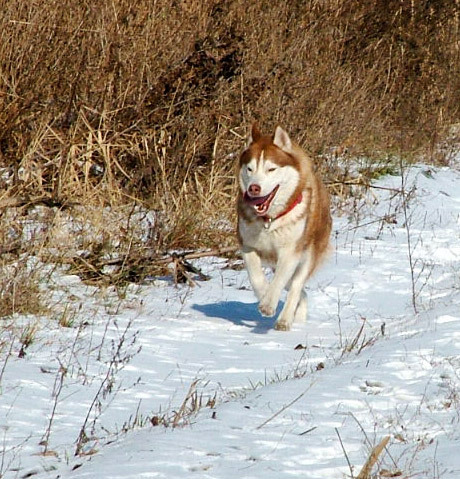 Many Siberian Husky owners find refuge in crating their Siberian when they are not home to watch them outside, thereby keeping escape opportunities at a minimum. 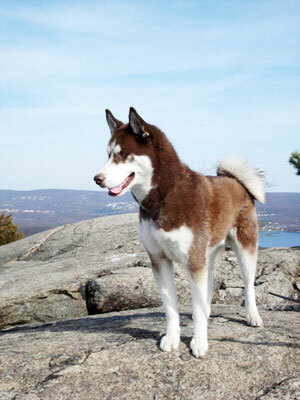 Imagine you and your Siberian having a nice walk in the woods. It is a beautiful day and the birds are singing and a little bunny is hoping past you. Oh wait! There goes your husky after the bunny! You yell for your dog to come back, while the words "independent" and "stubborn" pop into your head. It has happened, it could happen again; without a leash your husky can take advantage of any opportunity that they see fit to use.